About an evil dragon which terrorises a walled city, which has long forgotten the danger. An instrumental featuring Annie on flute and Mike on bass. One of our favourite covers, which has rich harmonies and wonderful violin and saxophone playing on our version plus an extended instrumental ending. A bouncy song about needing to make changes to cope with life. An epic about taking risks and following your dreams (the lure of the Siren song), feeling lost and alone but carrying on in the hope that you might reach the place you wanted to be. This song has, at times, very subtle and then really rocky moments, which feature a rare electric guitar solo from Elaine). A bouncy song about getting out and enjoying life. A dark, rocky song about addiction and the cravings. Another favourite double cover with Annie playing whistle and incorporating some original reels towards the end. A sultry, "doomsday clock" song, with a laid back blues feel, featuring the grim reaper and the four riders of the apocalypse as well as Annie playing saxophone! A favourite of the original songs already recorded on the "Dance of Life" album but given a more rocky treatment with the current, excellent band line-up. A favourite, rocking crowd pleasing, cover of ours with a tremendously exciting, extended end instrumental, which even has Elaine playing electric guitar! thirteen tracks, also designed the front cover. fabulous modern folk-rock album - and one that could attract a more mainstream audience. really together and inventive band. Well done! 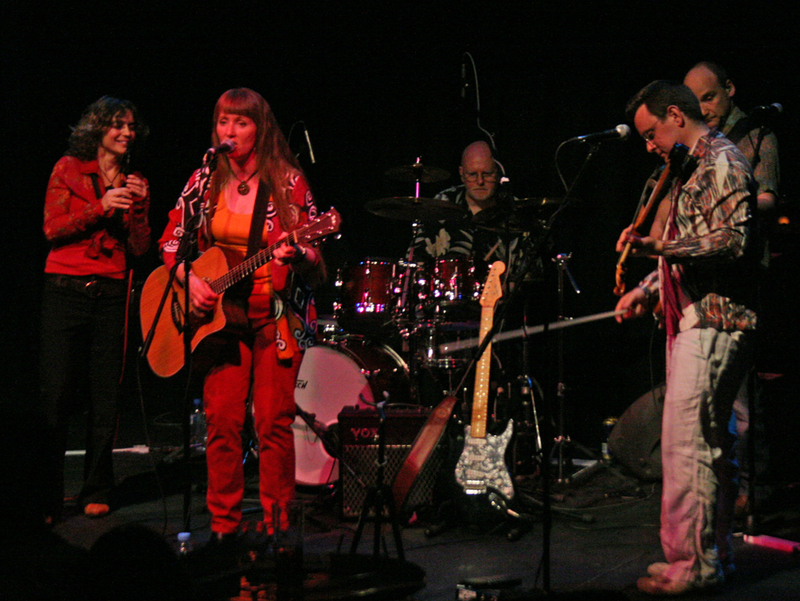 Led by West London composer and chanteuse Elaine Samuels, this five piece folk-rock outfit’s impressive line-up also boasts Annie Parker, the fine flautist and saxophonist. The title cut features a memorable fiddle motif, courtesy of Gavin Jones, as it relates a tale of environmental decay and rebirth. Green issues are a speciality of Elaine’s songs and many of the lyrics here subtly refer to our present predicament and hope for a cleaner world. However, these concerns are tastefully balanced by splendid cover versions of Lindisfarne’s melancholic Lady Eleanor, the Corr’s Erin Shore and Forgiven Not Forgotten, plus Fleetwood Mac’s classic, The Chain. Highly enjoyable. 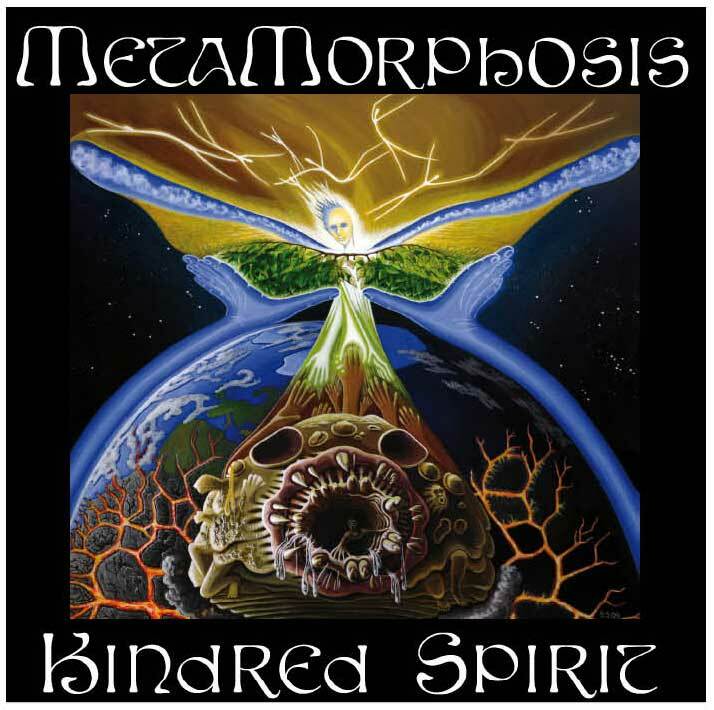 This album was recorded by engineer, Ian Jackson, at Airplay Studio. We wanted to record our new songs and a few covers and older favourites which we had either not recorded before or have been transformed by our excellent, current band line-up. The recording was largely live, which has given the solos and duels between Annie (flute / sax / whistle) and Gavin (electric violin) a really exciting feel. Engineer, Ian, has done a stirling job, since this is an excellent quality album. The original lyrics can be found in the CD booklet and the front cover artwork, an acrylic on canvas, was produced specially for this album by myself. This album may be purchased here for £10 plus £1.30 P+P UK, £3.80 Europe, £4.75 Rest of World.